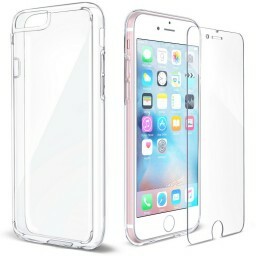 One-piece case comprising shock-absorbing TPU bumper and crystal clear PC back cover. 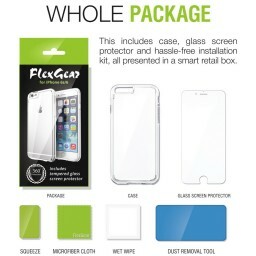 ULTIMATE KIT: Clear Case and Tempered Glass Screen Protector with installation tools. PROTECTIVE, SLIM one-piece case comprising shock-absorbing TPU bumper and crystal clear PC back cover. 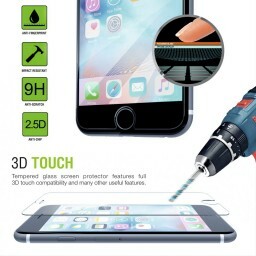 GLASS screen protector features: 3D-touch support, oleophobic, anti-fingerprint coating, 9H hardness, HD clarity. DESIGNED for iPhone. Compatible with Apple iPhone 6s (2015) and 6 (2014), 4.7 inch only.